A Pius Geek: Guest Blog: Karina Fabian on Writing Science Fiction. 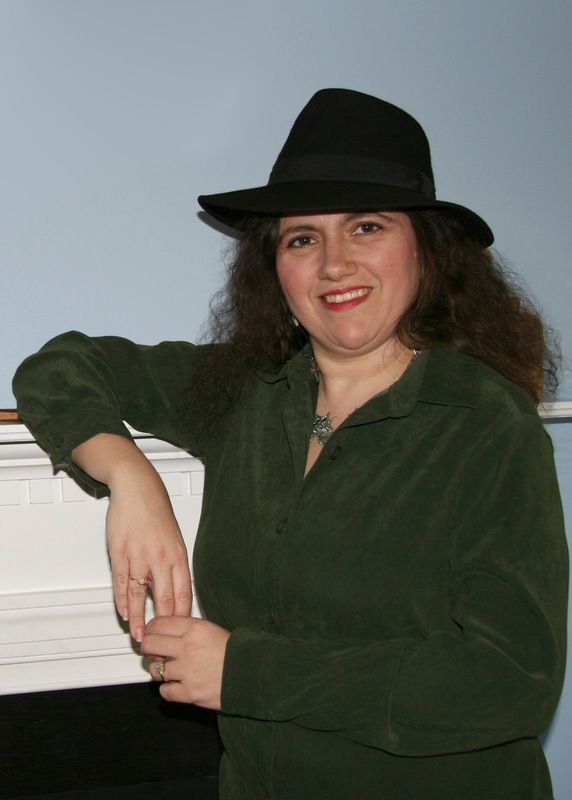 Guest Blog: Karina Fabian on Writing Science Fiction. Once upon a time, very long ago (okay, back in April), we had a guest blogger -- Karina Fabian, author of .... a whole lot of novels, and editor of Infinite Space, Infinite God II. Guess what: she's back, with a new book, Mind Over Mind, a science fiction / fantasy piece (and there are reasons it's a bit of both), so I decided to keep her blog topic simple. I asked her to blog "On the joys and wonders of writing SF." She gave me a top ten list. 1. Explore Strange New Worlds. Whether it's traveling to another planet, exploring the future, or even seeing how the past would change if you altered some aspect like, say sticking a small West Virginia town in the middle of the Black Forest in 1632, you will find something completely new. 2. To seek out new life. This doesn't have to mean alien life, either. A science fiction setting can give new life to an old plot, or a new way at looking at our own society. Recently, I revisited an old favorite, ALIEN NATION. A sci-fi cop show from the 90s, it was really more about racial issues in a big city. 3. To boldly go! It's sometimes easier as a writer to explore a controversial issue in a way that will make people think when you put it in a setting that's removed from the present day society. Science fiction also gives you a means to take chances. Nichelle Nicols (Uhura from Star Trek) was one of the first black women on television to have a substantial role, and was as a result a role model for thousands of women and Blacks. 4. Because it's part of our culture. How many of you recognized the lines from the first three reasons? We know without an explanation what someone means by warp speed. Ray guns, transporters, aliens, time travel--none of these are unknown concepts, even when they aren't everyday objects. 5. To explore the impossible. Or at least the impossible right now. Did you know a lot of technology we take for granted and are developing right now was first suggested in science fiction? We have 3-D faxes--replicators! Arthur C. Clark first talked about satellite communications years before we launched our satellites. NASA is working on VASIMR drives for spaceships, and Japan recently launched its first solar sail craft--ideas made known in science fiction stories while still far-off theories in scientific journals. 6. To explore ideas. How would humans act if a plague knocked out 90 percent of the population? What if we always fought wars through computers? What if humans could live forever? What if you could go back in time--but only for eleven minutes a shot? Some ideas can only be examined in a science fiction setting. 7. You can learn a lot while enjoying the adventure. Science fiction writers often have to do a lot of research into everything from physics to genetics to animal sciences in order to craft convincing stories. Writing is a great way to learn things--but many times, much of that information comes out in the text, too, and not in a boring "just the facts" manner of a textbook. 8. We are a technological, forward-thinking society. Why shouldn't our literature reflect that? 9. Resistance is futile. You will be assimilated. Science fiction and fantasy are a big genre. Eighty percent of the top grossing movies in the US are science fiction or fantasy (source: http://www.irosf.com/q/zine/article/10131), and the number of books--and readers-continues to grow. 10. It's sheer escapist fun. 'Nuff said! After being a straight-A student, Karina now cultivates Fs: Family, Faith, Fiction and Fun. From an order of nuns working in space to a down-and-out faerie dragon working off a geas from St. George, her stories surprise with their twists of clichés and incorporation of modern day foibles in an otherworld setting. Her quirky twists and crazy characters have won awards, including the INDIE book award for best fantasy (Magic, Mensa and Mayhem), and a Mensa Owl for best fiction (World Gathering). In May 2010, her writing took a right turn with a devotional, Why God Matters, which she co-wrote with her father. Mrs. Fabian is former President of the Catholic Writer’s Guild and also teaches writing and book marketing seminars online. Thanks for hosting me today, John! Looking back on 9/11, ten years later. Nerd Rage: DC Reboot as "One More Day" gone mad.